Sydney Airport has paid no tax in the 10 years since it was privatised by the government. 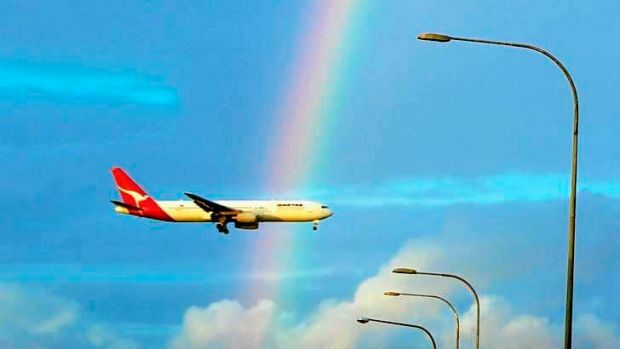 While other international gateways such as Melbourne and Auckland are also held in private hands and regularly pay corporate tax, the last time Sydney Airport paid tax was before its sale to Macquarie Bank in 2002. Not only has the company that controls the airport continued to structure its affairs so that it has no tax liability, it has won a tax benefit also. An examination of Sydney Airport Corporation’s financial accounts since its first full year of privatisation in 2003 shows the airport booked almost $8 billion in revenues during that time and gained tax benefits of almost $400 million. Although its report for June 2006 shows an entry of $425,000 for corporate tax, the picture is clouded by the complexity of the financial statements which includes a tax gain of $137 million in the interim accounts for that year. In light of the potential sale of Australia Post, Medibank Private and assorted state-owned electricity assets after the election, Sydney Airport’s failure to contribute to the national coffers lends another weapon to the armoury of those who oppose privatisation. Further, it reflects the profound dilemma aggravating governments around the world; how to compel recalcitrant corporations to pay their fair share. Google Australia for instance is yet to contribute any meaningful corporate tax in this country, despite earning billions. In its profit results handed down on Thursday, however, Sydney Airport Corporation makes Google look like a half-decent corporate citizen. Earlier this week, a request to interview Sydney Airport’s chief executive Kerrie Mather was rejected. Ms Mather was not available to answer questions via email either. A spokeswoman for Ms Mather did not deny the proposition that the airport had paid zero tax for the decade. If it chose, Sydney Airport could pay down its enormous $8.5 billion debt and deliver a bottom line profit. However, it would then be required to pay tax on that profit. Interest is tax deductible. As the airport is a monopoly asset and an essential service with stable revenues – unlike most other companies – it can afford to carry extremely high debt. In the event of a default, the government would be forced to step in anyway and bail out the airport, so the corporate risk poses little danger to air services at Mascot, only to taxpayers. While Sydney Airport has been no ringing endorsement for the benefits of privatisation it has been a monumental success for bankers and investment bankers. The Macquarie consortium paid $5.6 billion for the asset in June 2002. The deal was a raging success, returning $2 billion of the original equity put up by the partners in just four years. It has delivered more than $1 billion in fees. Macquarie even managed to garner a fee of $345 million just to walk away from managing the airport in 2009. Still, present management and the board, despite this legal separation four years ago, continue to hold strong ties to the mothership. And the aggressive modus operandi has not changed one iota. The airport delivers high returns. Although its tax bill is zero, and the asset is ”cash-flow negative”, the airport’s financing costs – which now exceed $700 million a year – soak up all the profits. It is the Macquarie clients and associates – bankers such as Commonwealth Bank and security holders – which enjoy that $700 million plus.